If you have some experience in the sliding sports but aren't looking to be a full-time competitive athlete, you may find your niche in coaching. 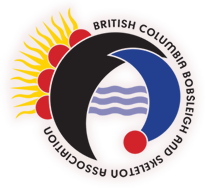 Coaches are needed in variety of capacities, from running skeleton and bobsleigh schools, to supervising BCBSA sliding sessions, to coaching provincial athletes. If you have an interest in getting involved as a coach, please contact Francis Chiasson by email at fchiasson@slidebc.ca.